Gutermann AG, der weltweit führende Hersteller von state-of-the-art Leckortungstechnologien aus der Schweiz, und die Société Eau du Grand Lyon SAS, eine 100% Tochter von Veolia, der weltgrössten Wassergesellschaft, haben einen Millionenvertrag für die Lieferung intelligenter Netzüberwachungstechnologie für die Stadt Grand Lyon unterzeichnet. 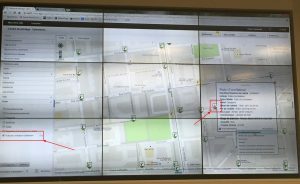 Im Rahmen dieses Abkommens liefert GUTERMANN 5'500 korrelierende Funklogger des Typs ZONESCAN 820 für die permanente Installation, sowie 500 Logger für den mobilen Einsatz. In January 2014, after Veolia won the prestigious 8-year contract to manage Lyon's water activities, partly thanks to the specification of the Zonescan product, Veolia publicly announced that it would purchase and install 6'000 smart sound loggers and 400,000 Smart Meters for Grand Lyon are planning what two cornerstones of Lyon's investment and infrastructure strategy for the years to come. The fixed target was to reduce water losses in the distribution network to 13% by 2018. In the meantime, Veolia has further developed its centralized control center and central asset management tool Hubl'O, which collects all data from the network and provides 24-hour surveillance of the Net allowed. This can be intervened in problem situations quickly. 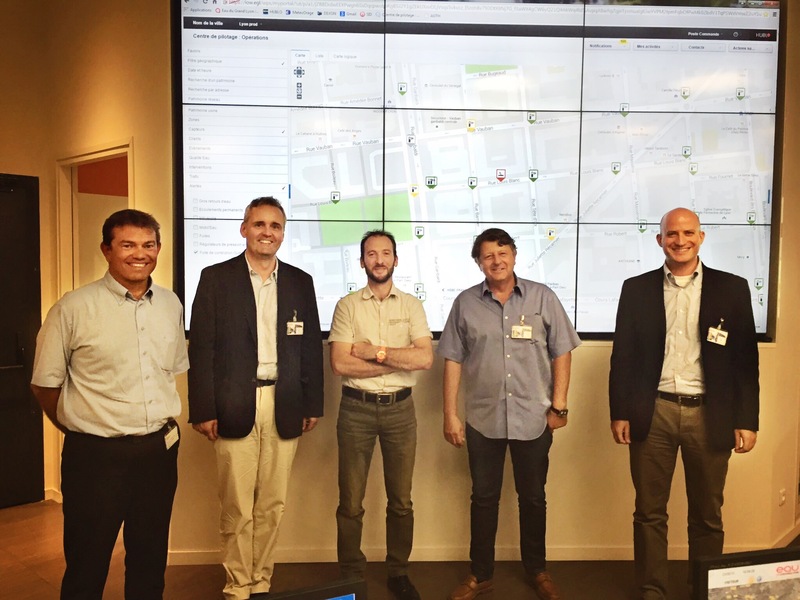 This control center is state of the art in the management of urban water networks, and Veolia will henceforth seek to leverage its know-how acquired in Lyon and, in future, other major management contracts in France and around the world. GUITANN's Leak Monitoring Software Solution ZONESCAN Net is an integral part of this control center, delivering leak data and alarms in near-real time. As part of this strategic partnership between the two companies Veolia and GUTERMANN, Veolia's subsidiary Homerider has developed an AMI solution that can wirelessly collect and transmit data from both smart ZONESCAN loggers and smart meters. The ZONESCAN loggers are connected to the Homerider wireless modules via a serial cable, which are integrated into the custom composite manhole covers. The data is then collected via Homerider's Long Range radio network at their collection points and immediately fed back into the ZONESCAN Net cloud solution from GUTERMANN, where all the calculations are carried out, in particular the so critical automatic correlation between all neighboring logger pairs. Every morning, Grand Lyon's leak officers can analyze all new leak indications right in the control center without the need for further field measurements. In addition, thanks to automatic correlation, false alarms are avoided, as well as leaking leaks, because the leakage noise from conventional noise level alarms can not be detected. Director of Eau du Grand Lyon, Serge Sassus, shared the enthusiasm of his project team with the words: "The ZONESCAN loggers are a core element of our service offering to the city of Lyon and will help us achieve our ambitious goals of significant and rapid leak reduction in the city achieve greater water efficiency ". Claude Gutermann, president of GUTERMANN, said: "We have been working very closely with Veolia for a long time to get where we are today and everyone involved is very proud of what we have achieved together." By the end of 2015, all ZONESCAN loggers will be available installed and in full use. For questions about this project, please contact uri.gutermann@gutermann-water.com .